Episode Summaries and Cast List! Here are brief summaries of each episode, and a list of all the major players in the series! Episodes are grouped by copyright year. The staff are concerned about the decrease in sales. They meet to try to think up some ideas, without much luck. The staff must spend the night in Grace Brothers due to a transport strike, camping out in tents on the sales floor. But of course, things couldn't be that simple. Mrs. Slocombe refuses to share her tent with Miss Brahms, who then won't leave Captain Peacock's. Mr. Lucas has great trouble getting his to stay up (which is unusual for him), and Mr. Rumbold realizes he must also spend the night on the floor. He seems less than pleased when Captain Peacock tells him that he wants to sleep with him, but they manage to sort things out. Finally, the staff gathers around a makeshift "fire", singing and watching Mr. Grainger's impressions. A wealthy client loses a valuable diamond in the store, and we learn about the integrity, or lack thereof, of the staff. A reward is offered for the missing diamond, but at the same time a shipment of rhinestones is dropped in the store. The staff each finds a rhinestone which they think is the missing diamond, and then try get the reward for themselves by hiding it from the others. Also, Mr. Humphries shows his talent for massaging Mr. Lucas' lumbago. The staff try to cope with a shortage of heat. Mr. Lucas creates a bewildering array of heating devices, ranging from two hairdryers to aim up one's pants to a new sales line -- "Novelty Foot warmers", which are good for the economy as they use less oil! These devices are, of course, caught by the eagle-like eyes of Captain Peacock who reports them to Mr. Rumbold. As the staff are being questioned in Mr. Rumbold's office, Mr. Rumbold's desk catches on fire due to a heater that he has hidden inside of it. The staff put on a fashion show to showcase the features of the store. Since they cannot afford models, the staff models the garments themselves. Surveillance cameras are installed at Grace Brothers. 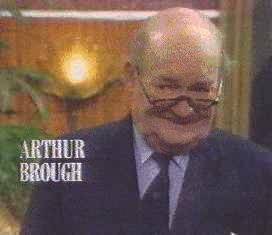 Mr. Rumbold begins to carefully watch their every move, and finds out some very interesting information about the staff. He counts Mrs. Slocombe's visits to the ladies' room, observes Miss Brahms adjusting her "stock", and catches Mr. Lucas smoking. Mr. Lucas explains that he was smoking to steady his nerves -- his mother is gone for the night, and Miss Brahms has said she will sleep in the guest room to keep him company. (What she doesn't know is that he sleeps there too.) In the end, the staff is outraged by this invasion of their privacy, so Mr. Humphries and Mr. Lucas trick him into removing the equipment for his health. Mr. Humphries displays his talent for telling fortunes. The staff protest the monitoring of their breaks and trips to the restroom, in the form of a signing in and out book. Mrs. Slocombe objects to having to stick her nose in a book every time she wants to powder it, and Miss Brahms worries what will happen if her pen is out of ink and she urgently needs the restroom. Captain Peacock's suggestion that one get someone else to do it for her isn't greeted with much enthusiasm, and they decide to protest this by refusing to sign, but Mr. Grainger is singled out by Captain Peacock and made an example of. A union meeting is convened by Mr. Mash, and Mr. Grace finally arranges for the coffee to be brought to the staff to avoid them losing their break time in transit to the canteen. Seasonal illnesses have got the staff down, and sometimes more than that even, as Mr. Grainger has got a bad case of the "gastrics." Mrs. Slocombe becomes quite ill, and Miss Brahms refuses to work near her, as she has had flu shots and must avoid exposure. At the same time, Mr. Lucas is trying to feign illness to get home to his girl. No thanks to Mr. Mash's suggestion of an onion and soap, he is transferred to the Ladies', and Miss Brahms comes to work with Mr. Humphries to avoid getting sick. He, of course, has no feelings whatsoever on having a girl behind the men's counter. Mr. Lucas pretends to sprain his ankle, in an act of supreme frustration, but is sent to the hospital by Mr. Grace, spoiling his plans for the day. Mrs. Slocombe is greatly disturbed to learn that she has no say in the garments she sells -- namely, knickers with slogans such as "In Case of Emergency, Pull Down". She protests, but is over-ruled until Mr. Grace leads the staff to believe that he is going to ask her to marry him. It turns out that he is merely asking her advice on a ring for someone else, but she tells the members of the floor that she turned him down, after gaining some promises from the rest of the department. The staff try to promote the sale of German goods, by dressing up in German fashion and performing a small dance. Mrs. Slocombe does her duty in sampling the German wine, and Captain Peacock feels that his costume isn't giving him the proper air of authority. In fact, he feels he is getting entirely too much air and very little authority! Mrs. Slocombe gets drunk, and ends up fighting Captain Peacock during their dance. Notice Joanna Lumley (AbFab's Patsy) as a customer. The ladies' department temporarily move into the gentlemen's while their department is being remodeled. Tensions run high, but no one is more pleased than Mrs. Slocombe when, at the end, the men learn that they now must move into the ladies' while their side is redone and she gets her chance to pay them back. 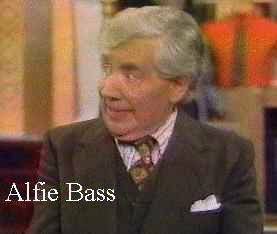 Mr. Rumbold tries a new experiment, and opens the store earlier in the morning. Sales are good, but the staff is not pleased at having to come in so early. So, they try not to sell anything to avoid longer hours, through a variety of techniques. Suddenly, Arab customers are told the umbrellas are Jewish, and Mr. Grainger tells a customer he has piggy eyes, a fat face, and a pimple on his nose. Needless to say, sales drop off and the plan is scrapped. The staff forms a team to compete for the Grace Brothers ballroom dancing competition, led ably by Mr. Humphries. 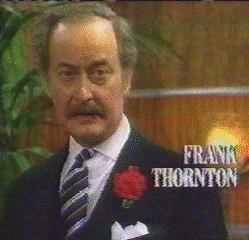 Mr. Grainger temporarily takes over Mr. Rumbold's position, to Captain Peacock's envy. The staff are no less amazed -- they were sure that Captain Peacock would get anything going in that office, especially the new secretary. 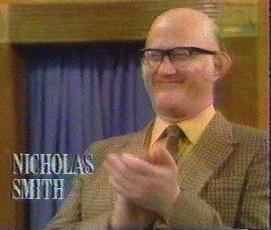 He turns out to be a strict and unforgiving manager, but when Mr. Rumbold returns early, the staff take out their anger at his actions on him. 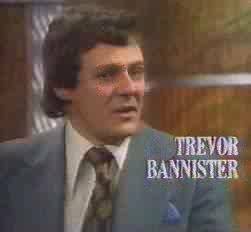 Mr. Rumbold leaves again, returning Mr. Grainger to power, but he has learned his lesson. Sales to an Arabian sheik are more difficult than expected, when they are unable to touch his wife to take the measurements. Women cannot touch women, as they say. Men can touch women, of course, but then they kill them -- strangely enough, they allow Mr. Humphries to take the measurements. ("And I'm not even a believer!") After the sale is completed, they are offered a number of items in exchange, ranging from a goat to a new wife for Mr. Grainger. This is interrupted by a surprise fire drill, which ends in chaos. They are forced to stay afterwards for practice, which is interrupted by a real fire. The staff think Mrs. Slocombe is going to have a baby, they find that it is only her cat. Denied time off, she smuggles her cat into work, but is discovered by Captain Peacock. His anger melts at the sight up the kittens. The staff temporarily are transferred to the toy department, where they start slowly but quickly warm to the change. The staff compile a retrospective for Mr. Grace's 80th birthday. The staff prevent a takeover of Grace Brothers by another firm, by impersonating the shareholders. Mr. Harman gives a rousing speech, and Grace Brothers is saved. Mr. Grainger may have to leave Grace Brothers, as his temper as become extremely short. 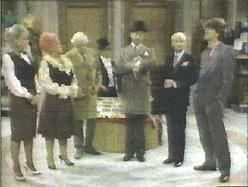 The staff, in a private meeting with Mr. Rumbold, decide he must go. However, when he wins the lottery, his bad mood vanishes and he makes his peace with the staff and stays on. "Do You Take This Man?" Mrs. Slocombe, after her fianc� returns home to his wife, stages her wedding for her wealthy uncle so she can get the house promised her if she marries a Greek. A new Junior is highered, Mr. Goldberg, who threatens to reveal "Captain" Peacock's past. Mrs. Slocombe moves into a display apartment in Grace Brothers, because her new home has squatters. Due to a transport strike, the whole floor arrives one by one, seeking refuge. 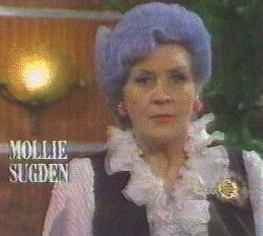 Mrs. Slocombe temporarily takes the place of Mr. Rumbold, who is taken in. She eats the cream cakes she finds in his office, before he calls from the hospital warning that they are what made him ill.
Capt. Peacock is challenged to a boxing match. He backs out, and Mr. "Hugger" Humphries is "elected" to take his place in a wrestling match. 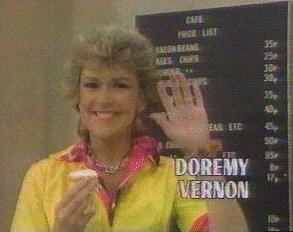 He loses the match, but Mrs. Slocombe enters the ring and defeats the challenger. The staff try to run the canteen, after a major argument with the canteen staff. After impressing everyone with the quality, they realize they are losing money and decide to apologize to the canteen staff. Mr. Goldberg tries to get the staff better jobs. 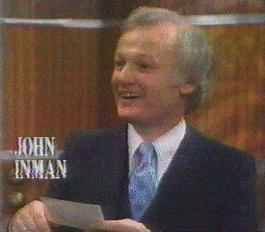 After Captain Peacock and Mr. Rumbold become aware of this, Mr. Humphries and Mrs. Slocombe are given rises, and decide to stay with the store. Capt. Peacock's wife works at Grace Brothers, as Mr. Rumbold's secretary. He is intensely jealous, and the staff seeks a way to confirm her infidelity. Mr. Humphries is made editor of the staff magazine. The 1st Floor staff is not pleased with the stories he writes about them, causing friction in their relations with him. The staff go on strike, after being threatened with a pay cut or being moved to the bargain basement. They stage a protest on the roof, which is interrupted by a fire which destroys the basement. Old Mr. Grace thinks Mr. Humphries is his long-lost son. Mrs. Humphries (also played by Mr. Inman) arrives, and shows that she has never had relations with Mr. Grace. Miss Brahms attracts the amorous attention of a lord. Captain Peacock, Mr. Humphries, and Mrs. Slocombe try to give her a respectable background to no avail; Lord Hurley falls for Mr. Grace's nurse. 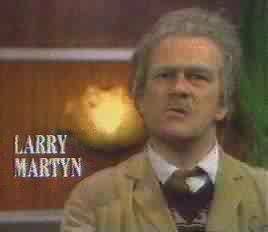 Mrs. Slocombe falls in love with Mr. Humphries, to his great distress. The staff celebrate Old Mr. Grace's 90th birthday, and the staff attempt to make him a coat of arms, leading to the tracing of his roots. Mrs. Slocombe sells her home-made perfume. After a great misunderstanding, Mrs. Peacock finds Captain Peacock without his pants (perfume had spilled on them) and the ill-fated trousers in the hands of Miss Belfridge, Mr. Rumbold's secretary. Mr. Humphries is accused of stealing. In a trial, he is found guilty and dismissed, but Mr. Harmon finds the missing money in the back of the till. Mrs. Slocombe is hit by a golf ball and thinks she's a little girl, wrecking havoc on the store as she cavorts around the department. The staff perform a play on CB radio to advertise Grace Brothers. The play results in the store being swamped by truck drivers, who are driven off by Mr. Humphries and Mrs. Slocombe. Grace Brothers may be bought by the Japanese. The staff take their problems to Number 10, where they contact such persons as President Reagan on the phone, and Mrs. Thatcher gets fashion tips from Mr. Humphries. Mrs. Slocombe's cat is missing, and in comforting her, Mr. Humphries finds himself entangled even deeper than he expected. Mrs. Slocombe is forcibly retired, and takes various jobs in the store. Mr. Humphries and Captain Peacock get her job back, but Captain Peacock and Mr. Rumbold are retired in the same manner. They end the show as the cleaner and the lift operator. Capt. Peacock's marriage appears to be in trouble, as he tries to decide whether to stay with his wife or go with his lover, Miss Bagnold. The staff try to foil two burglars, by first impersonating the police and then the much-feared Gumby Gang, with Pa Gumby (Mr. Harman), Mad Ma Gumby (Mrs. Slocombe), and Italian Tony, the Tooting Terror (Mr. Humphries). 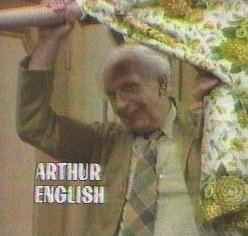 They call Mr. Rumbold, who thinks it is all a joke. The staff bet on horse races. 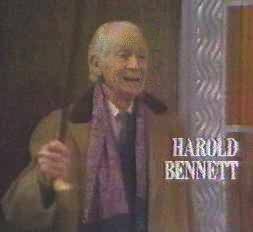 After being catch watching the race in Mr. Rumbold's office, Mr. Humphries goes to the sports department and mimes the race to the rest of the staff over the security camera. The staff use apartments in the Grace Brothers building, to cut down on transportation costs. Mr. Spooner's vocal talents are discovered during the staff show. 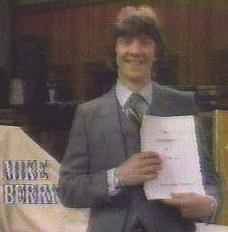 He is signed by a record company, and the staff appears on TV performing the song when Mr. Spooner loses his voice.